Lights, thermostats, door locks, and smoke detectors have smartened up, and now dumb doorbells are getting an IQ boost. Many types of smart-home devices can be monitored and controlled from your smartphone whether you're at home or away, but until recently, doorbells have been left behind. The first smart doorbells appeared in the U.S. in 2013 and early 2014, and now about nine companies are leading the charge. They include August Home, DoorBird, GoControl, HeathZenith, Ring, SkyBell Technologies, Vivint, Yale Security, and Zmodo. These smart doorbells incorporate Wi-Fi, a video camera to stream live video to your smartphone, and a two-way intercom so you can speak through your smartphone to the person at the door. With a smart doorbell, you don't have to walk to the door to answer the door, nor do you have to be at home to answer the door. In a second-quarter 2016 survey of on-line households, research company Parks Associates found that 50 percent of smart-doorbell owners use the devices to see who's at the door when they're not home, and 48 percent use them to see who's at the door without letting the visitor know if they're home or not. The $199 SkyBell HD streams 180-degree 1080p HD video, captures color video at night, and integrates with select smart-home hubs and security panels. 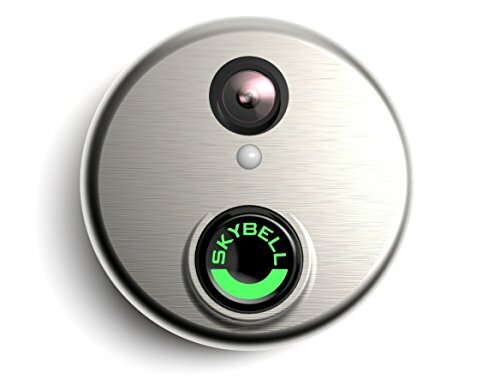 SkyBell is compatible with the AC-powered mechanical chimes, used in most doorbell-equipped homes, and with AC-powered electronic chimes. Priced generally from $179 to $249, smart doorbells connect to your home's existing doorbell wiring to get power and connect to your home's existing doorbell chimes. When the doorbell's button is pressed, the chimes ring as they normally would, and the doorbell's Wi-Fi radio sends an alert to one or more smartphones. Then you can use the phone to stream the doorbell camera's live HD video up to 1080p with viewing angles of 110 to 180 degrees. The cameras come with night vision so you can see who's there in the dark. If you choose, the doorbells also send alerts when motion is detected. You can monitor multiple doorbells from a single phone even if the doorbells are installed in separate locations, such as your main home and a vacation home. Although the doorbells get power from a home's existing doorbell wires, some run only on internal batteries without a wired connection. These doorbells are intended for homes that lack doorbell wiring, homes with wired doorbells only by select exterior doors, or homes whose doorbell wiring is damaged. About 30 percent of households lack doorbell wiring, a Ring spokesperson says. For these homes, the company offers a compact $29.95 wireless chime (Ring Chime Pro) that plugs into a home's power outlets. It works with the battery-operated $199 Ring Video Doorbell, which can also be connected to a home's doorbell wiring. Like dedicated IP security cameras, smart doorbells keep watch on the comings and goings of people around an entry door. Security cameras and smart doorbells alike send alerts when they detect motion and stream live video to a smartphone if you're not home. Both types of products also let you capture the video on the phone or in a Cloud-based server to identify the miscreant to the police. Unlike security cameras, however, smart doorbells also send alerts whenever the doorbell is pressed, and exterior security cameras don't let you speak with someone at the door in real time via the doorbell's intercom. The intercom could also deter a burglary. Burglars often ring the front doorbell to see if you're home before going around back to break in. With a smart wireless doorbell, however, you could answer the door without letting the thief know you're away. Though safety and security are the prime reasons to buy a smart doorbell, consumers also use them for the little conveniences they provide. In its second-quarter survey, research company Parks Associates found that 43 percent of owners use their smart doorbells to see who's at the door when they're at home and don't want to get off the couch. Thirty-seven percent use them to see if a package has been delivered while they're away. The ways to use a smart doorbell don't stop there. If you're in the back yard and are too far away to hear the doorbell chime, you'll get an alert on your smartphone. If you're disabled or infirm, you can see who's ringing without getting up. And while you're at work, you can ask a delivery person to leave a package in back in an enclosed area to protect it from the rain. 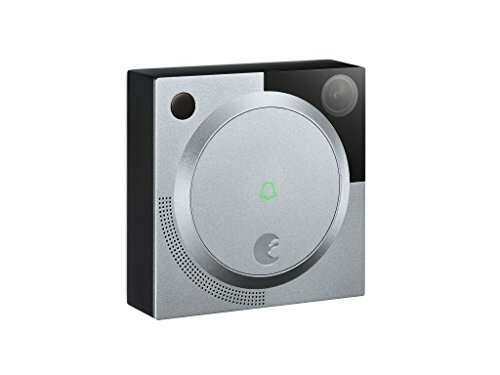 If you're just curious, most smart doorbells stream live video on demand at any time, not just when the doorbell is pressed or motion is detected. The Vivint Doorbell Camera is included free with a professionally installed Vivint security and smart-home system with monthly service contract of $59.99 or more. It works with AC- and DC-powered mechanical chimes. With a smart doorbell and a hub-connected smart lock, you can buzz in the cleaning-service crew or other service providers after they ring the doorbell and you confirm their identity through the doorbell camera. 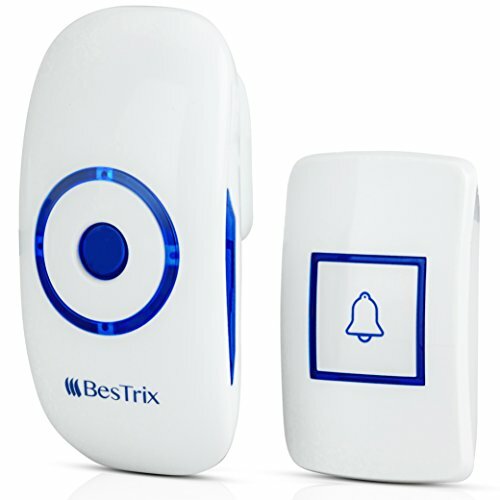 Buzz in health care aides to assist elderly parents, or program the hub to automatically lock a door if the smart doorbell's button is pressed or the doorbell senses motion. At least one doorbell, August's Doorbell Cam, doesn't need a hub or security panel to connect to a smart door lock. August's Wi-Fi-equipped doorbell features Bluetooth BLE to control a Bluetooth-equipped August Smart Lock through August's doorbell app. When a doorbell is integrated with a hub or security panel, you could also program scenes to turn on select lights when the doorbell is pressed or motion is detected. Ring's two doorbells integrate with Wink's hubs, ADT's Pulse security panels and select smart locks. 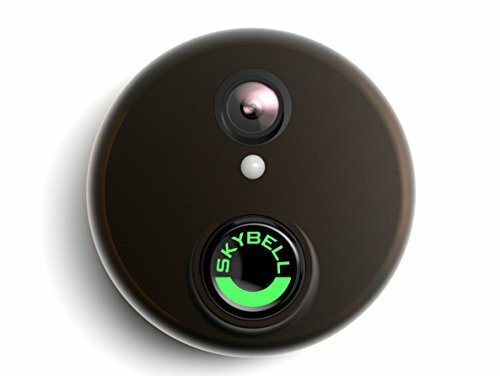 The SkyBell HD Video Doorbell integrates with hubs from SmartThings and Alarm.com as well as with security panels from Honeywell, MONI Smart Security (formerly Monitronics), and others. For its part, the Vivint Doorbell Camera integrates with Vivint's security and smart-home systems, which are sold only with professional installation and 24/7 security-monitoring and smart-home services. The potential benefits of smart doorbells have driven up ownership rates to 7 percent of U.S. Internet-connected households from 4 percent in March 2015, The NPD Group found in its consumer survey. Smart doorbell awareness is also growing, hitting 10 percent of households in April 2016 from 6 percent in March 2015, NPD said. "While still a new product, awareness and ownership of smart doorbells are growing quickly," says John Buffone, NPD Group executive director and analyst. Greg Stone, product line manager for GoControl owner Nortek Security & Control, contends they'll "be commonplace in 20 years." Though smart, smart doorbells aren't smart enough to work with every doorbell system out there. But that's only one challenge for do-it-yourselfers. Another challenge is making sure your doorbell is getting a Wi-Fi signal with enough strength and bandwidth to do its job, even when the network is congested with simultaneous video streams and Web-browsing sessions. Without a strong Wi-Fi connection, notifications that usually take from 0.2 seconds to several seconds could be delayed, said Nortek. Constricted bandwidth could also prevent video from streaming or add delays when talking to someone via the doorbell's intercom. To ensure optimum performance, various suppliers suggest minimum available bandwidth of anywhere from 0.5Mbps to 2Mbps. "Wi-Fi is a challenge for all vendors," says Herve Letourneur, product vice president of August Home. Making sure your doorbell chimes are compatible with a smart doorbell could be even more challenging, though it's more than likely you won't have any problem at all, suppliers contend. Smart doorbells are designed to work with the most common type of doorbell system in use, or those that use mechanical chimes and run on alternating current (AC) power. Nortek's Stone estimates that more than 80 percent of households use this type of system. But there is a caveat. Your doorbell system's transformer better put out enough voltage for the smart doorbell of your choice to operate properly. Typical doorbell systems deliver a minimum of 16 volts from their transformers to a doorbell, so they'll likely work with most smart doorbells. The Ring and SkyBell doorbells, for example, require a minimum of 8 volts; the August doorbells requires a minimum of 8 volts, and the Vivint and GoControl models require 12 volts, the companies say. Check for markings on your doorbell system's transformer or chimes to verify your system's output, but be warned that what you see might not be what you actually get. Because of long wire runs, old wiring, substandard wire gauges, or old transformers, your doorbell might get less voltage than advertised. "You don't know what to expect out there," says Nortek's Stone. So before you buy, you might want to whip out a multimeter to confirm that your current doorbell is getting the minimum voltage that your smart doorbell will need. If the smart doorbell doesn't work after you've bought and installed it, then it might not be getting the minimum volt-amps specified by the doorbell maker. If so, use your multimeter again, but to get a correct reading, the new doorbell has to be installed and pressed to test the transformer under the new "load." If your doorbell chime and transformer aren't delivering what's needed, it's time to replace them. SkyBell founder Andrew Thomas, however, cautions against psyching yourself out. "Tens of thousands of customers install a SkyBell successfully each month without a multimeter," he contends. With the Vivint and GoControl doorbells, let the installer worry about it. Vivint and GoControl doorbells are available only with professional installation. Do-it-yourselfers also have to consider smart-doorbell compatibility with DC-powered mechanical chimes. Many smart doorbells don't work with DC-powered doorbell systems, and some smart doorbells work with only a limited selection of DC-powered systems. But take heart. Only about 1 percent of homes use a DC doorbell system, said Nortek's Stone. Some smart doorbells also won't work with electronic (also called digital) chimes, and others won't work with electronic chimes unless a diode is installed at the chime. Electronic doorbells substitute mechanical chimes with electronic chimes that play a selection of tunes through a speaker. Check the doorbell supplier's web site to determine if the company's doorbell is compatible with your type of doorbell system. Then let it ring. If you need help installing any of these new connected devices, you can visit HomeAdvisor.com to find a local professional.